The committee must obtain the signatures of 136 registered voters — 10 percent of the city’s 1,326 registered voters — within 30 days, and have those signatures verified, to have a valid recall petition delivered to the Manatee County Supervisor of Elections Office for a recall election. Carter said he anticipated filing the petition with the city clerk during the week of May 17. According to the Florida statute on recall, everyone who signs the petition becomes a member of the recall committee. Also, a statement of the grounds for recall must be submitted with the petition. The grounds for recall are malfeasance and misfeasance, Carter said. According to Carter, Stoltzfus has been “abusing his authority,” has employed “evasive devices to intentionally circumvent state statutes,” and has “conspired with others to deceive citizens and bring financial harm” to the city by encouraging litigation against the city while hiding his involvement in the action. “His conduct cannot be legally justified and conflicts with state law,” Carter said. In a separate letter, Carter delivered a scathing indictment of Stoltzfus. “We have reason to know that we have elected a person possessing blatant disregard for the sacred trust placed in him by virtue of the public electoral process of our democracy,” Carter wrote. Carter said he made these allegations after reading the Stoltzfus e-mails produced by a public records request. When contacted by The Islander, Carter said he became involved after reading numerous stories in The Islander’s online editions over the course of several weeks. “It got my attention. I was disgusted and I became involved because someone should do something,” he said. He said that Stoltzfus has not been transparent in providing e-mails requested and clearly has a hidden agenda. “This is also about the Sunshine laws and being transparent in government,” he said. • Pledged to kick the “asses” of Mayor Fran Barford and planning and zoning board member Bob Barlow. •Asked other supporters to join the lawsuit. •Provided individuals with information on how a lawsuit could be successfully prosecuted against the city. •Communicated with an attorney representing a plaintiff in a legal action against the city. •Communicated with a plaintiff that has filed a lawsuit against the city. •E-mailed an attorney about taking the job of city attorney in November after current city attorney Jim Dye is removed from office. •Asked the same attorney for advice on how he could avoid turning over his personal e-mails about city business to Barfield. •Contended he’d like to see two Pine Avenue Restoration LLC projects on Pine Avenue bulldozed, although the projects were approved by the city and are already built. •Directed his supporters on how to stop a proposal for Pine Avenue parking that he disagreed with. •Called the mayor ignorant and stupid. •Alleged that city planner Alan Garrett and Dye are on the PAR payroll. •Told Nicky Hunt that her already-approved retail-office-residential project that does not comply with city code would not have a problem when construction begins. When reached for comment, Stoltzfus directed all inquiries to his attorney, Richard Harrison of Tampa. Efforts to reach Harrison were unsuccessful. Anna Maria may make Manatee County’s history book. 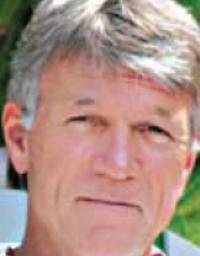 A committee to recall the November 2009 election of Anna Maria Commissioner Harry Stoltzfus has been formed and the petition to organize a recall vote will begin circulation April 22, said committee chairman Bob Carter. Manatee County Supervisor of Elections Bob Sweat said that there has never been a recall election in the county. He’s lived here all his life and has been supervisor of elections for more than 20 years. “Anna Maria could make history,” Sweat said.